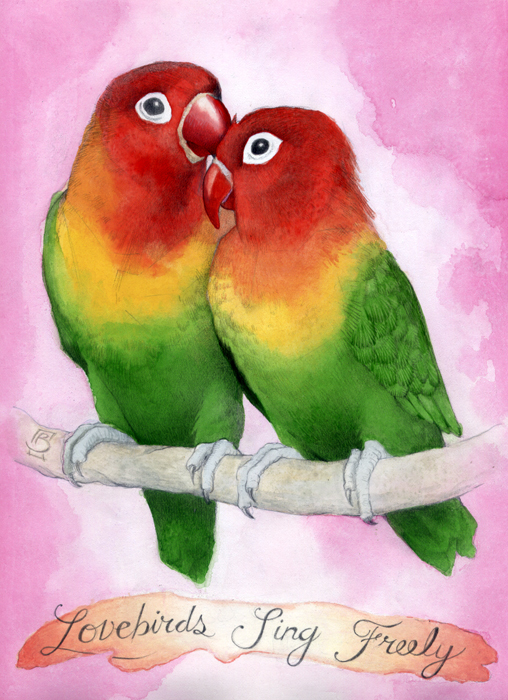 The Lovebirds are a response to the the recent overturning of Propostion 8 here in California. This piece is a more editorial type of piece than I’ve been doing in the past. I am putting in an effort to broaden my horizons and to develop a quicker process in hopes of courting some publishing work for not only online sources, but also the traditional sources like newspapers and magazines. So, look for more pieces like this in the near future.